Terry Walters is a best-selling author and one of the original leaders of the clean-eating movement. That is why I am so excited that she is sharing a recipe with us today that makes eating healthy delicious and easy! Terry’s new version of her best-selling cookbook CLEAN FOOD, has tons of new information resources and recipes, as well as a new chapter dedicated to CLEAN SNACKING (perfect for busy moms &kids.) Terry make a habit of sharing recipes with seasonal food that will delight the taste buds, strengthen immunity, clear skin, and improve sleep, and so much more. When I prepare dinner , I try to make sure there’s something for everyone. 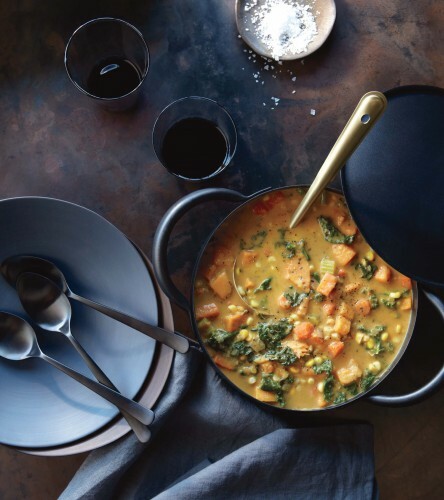 This Sweet Potato, Corn and Kale Chowder accomplishes that in one pot and is a colorful variation on an old favorite. It cooks up quickly and provides a balanced meal rich in nutrients all in one satisfying bowl. This healthy chowder cooks up quickly and provides a balanced meal rich in nutrients. In large pot over medium heat, sauté onion in oil until soft (about 3 minutes). Add celery, carrots, sweet potatoes, corn, thyme and stock and simmer 5 minutes. Add enough rice milk to cover the vegetables. Bring to boil, reduce heat and simmer until vegetables are soft (about 20 minutes). Remove from heat and add dissolved cashew butter. Partially purée using a handheld blender. Add kale, return to heat, thin with water or stock to achieve desired consistency and cook until kale is tender. I hope you enjoy this sweet potato kale chowder! What other clean eating recipes do you enjoy? 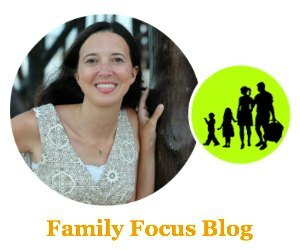 Guest post by best-selling author Terry Walters, who is a well-known holistic health counselor, food educator, and motivational speaker. That looks like a must try to me!!! I love soups and chowders to warm me up when it is cold outside. Thanks for what looks like a tasty and healthy chowder recipe.